Actually, I have had it for a couple of weeks and have been playing around with it; It’s the Canon 80D! I bought my first and only DSLR back in 2012 and it was the Canon 600D. It’s been a good camera to me, and I’ve taken it so many places and made some great memories with it. 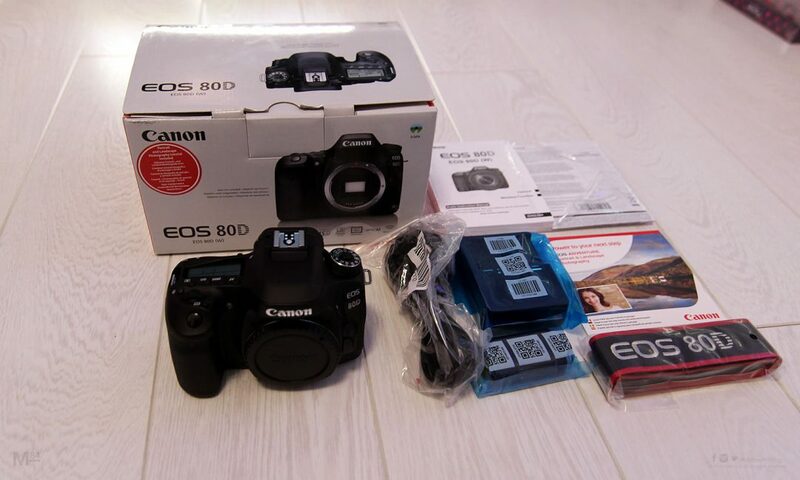 I decided that I’d upgrade to something a little better, and after waiting for a long time, after lots of reading and making up my mind, I went for a Canon 80D. 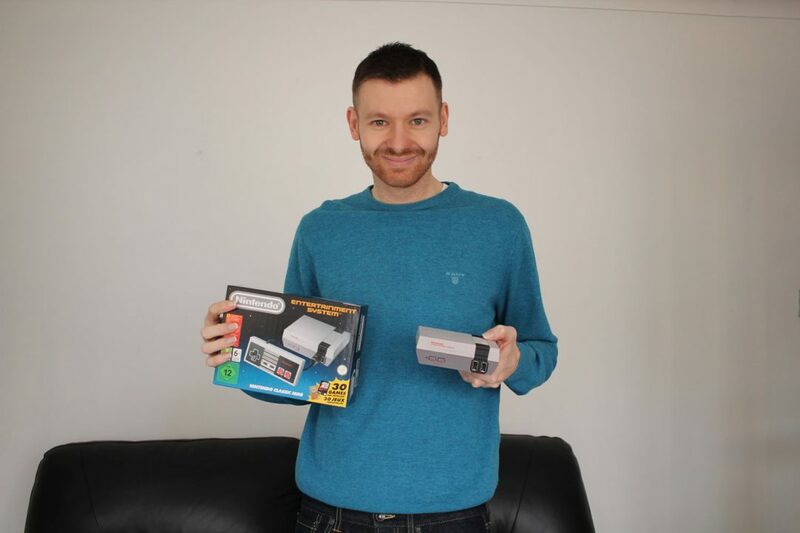 The Nintendo Classic Mini Review – I Finally Got One! They’re out of stock everywhere in the UK and abroad… Do I look happy? 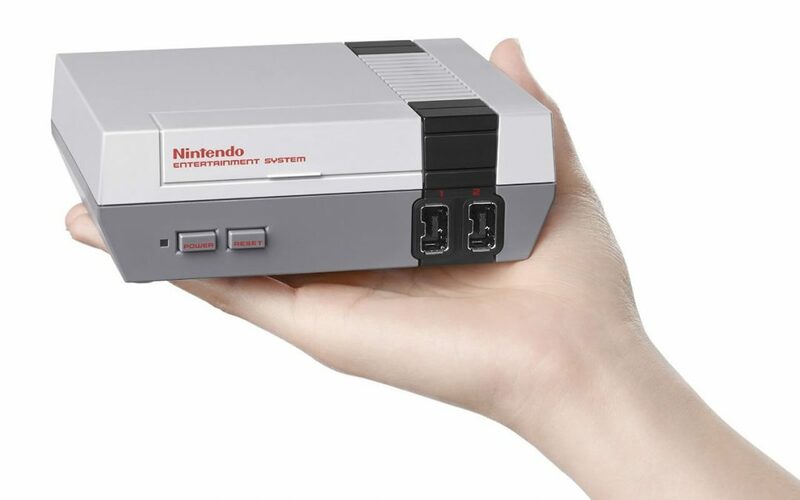 As soon as I heard about the Nintendo Classic Mini aka NES Mini, I wanted to get one. I heard about them as soon as they were announced, and thought they’d be pretty popular among a few people like me, who love a bit of retro gaming…I didn’t bother pre-ordering at the launch, they sold out everywhere almost instantly! I didn’t think it would be so hard to get one, and after a couple of weeks of the launch, I finally got one! Today was the Microsoft event, and a few things were introduced, including a newer, more powerful Surface Book, but the story which everyone is talking about is another great brand new design from Microsoft, the Surface Studio. Just look at it! Forget about what it can do, why you’d need it or the specs for a moment, and look at it! It looks beautiful, possibly one of the best designs of a computer for a very long time. The design is thin and sleek, minimal, modern and minimal. For a brand new machine, it looks like a brand new design, which is important these days. First of all we have to talk about who it’s designed for; This is a computer which is aimed at the creatives, and not the general consumer market; That’s quite an important point and you’ll see why later. So what is it. Well it’s a touchscreen PC, but this is not one of those old fashioned, under-powered all-in-ones which came around several years back. Other than the design, this is a real powerhouse from Microsoft. First off, it has a 28″ Pixelsense display, this is the same kind of display found on the Surface Pro and Surface Book which creatives adore and is widely regarded as one of the best screens for pen input out there. This one of course is bigger, and comes with a 4500×3000 resolution, and is perfect to use as a canvas. Writing on an upright screen is probably not the best, and that’s where the party piece of the Surface Studio comes into play. It has a special Zero Gravity hinge which allows you to lie it at an angle, perfect for drawing or writing. In terms of spec, it comes with either an i5 or i7 CPU, 1 or 2TB Hybrid HDD, 8, 16 or 32GB RAM, Dedicated NVIDIA GeForce GTX 965m 2GB or 980m 4GB graphics; Expansion comes in the way of 4x USB 3.0 ports, SD Card Reader, Mini DisplayPort and 3.5mm headphone jack. The Surface Studio will start shipping in 2017, and comes in at a starting price of $2999, around £2499. This is a lot of money for a home machine, but remember that this is actually designed for creatives and studio types (hence the name) and not the home, although there’ll be quite a few people wanting this. Has Microsoft just changed the game? Let me know what you think of this, I personally think it’s brilliant! If you’re a gamer then you’ll know that Nintendo have been hinting at a new console for a while, and we’ve all been calling it the Nintendo NX, and even though we now know that was a codename, it was actually a pretty good name. 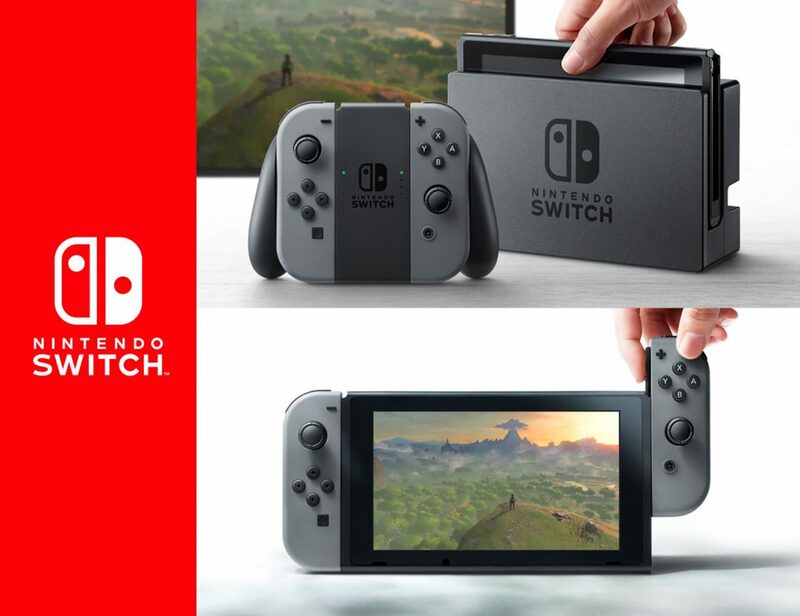 Nintendo finally revealed what they’ve been working on and what will be their next console, it will not be called the NX, they teased us with the Nintendo Switch on Thursday, and it looks very interesting. The first look doesn’t actually tell us a whole lot about the console in terms of spec or what it can do a whole lot, but it does show off what it’s all about, and at least some of it’s capabilities in it’s video (below). In terms of spec, the only thing we know as of now is that it’s powered by an NVIDIA processor. What we do know is that it’s designed to be a hybrid home and portable console, it comes with a dock which connects to your TV, and when you want to go or have to leave, you simply undock it, and pick up where you left off on the screen. The design is interesting, with the main screen part being the console and having two controls either side which are detachable. The two sides of controllers come with plenty of buttons, so as seen in the video, you can play 2 player games with the one console and the two detachable controllers. Not only that, two consoles can be linked up for play wirelessly which will be fun for gamers being in the same room. For sitting in your living room for bigger games, there’s also a more standard looking controller, probably known as a “pro” controller or something similar. It’s interesting that it’s going to be a proper console going mobile, rather than a mobile console. So where will the DS line-up fit into all of this? As for games, there’s the beloved games in the preview; I’m talking about Super Mario and Mario Kart. We also seen Skyrim, Splatoon, NBA 2K17 and Zelda. Nintendo has released a list of all the support which the Switch is going to receive from games, and it’s quite a list. As we know, a gaming console is only as good as the games available for it (Just ask the then-powerful Atari Jaguar!). As for the game storage, it appears to be a card or cartridge similar to an SD card, but will probably be some proprietary Nintendo card. The price is TBA, and the release date is March 2017. It’s an interesting idea from Nintendo, and I am not sure at the moment if I think it’s brilliant or terrible. It’s a home console which you can carry around with you, it’s bold and new, and something we’ve not really seen before, so it’s hard to judge, especially with the little detail we have. As mentioned, a lot will depend on the spec, games support, as well as the price, and since this is a portable device, how long the battery lasts. If Nintendo can get is all right, it could be pretty hard to resist getting one. In the past I’ve always associated PC gaming with a traditional PC, because back then, laptops were never really thought of as a gaming machine. However times have changed, and so many people have switched over to a laptop or ultrabook rather than a traditional PC. 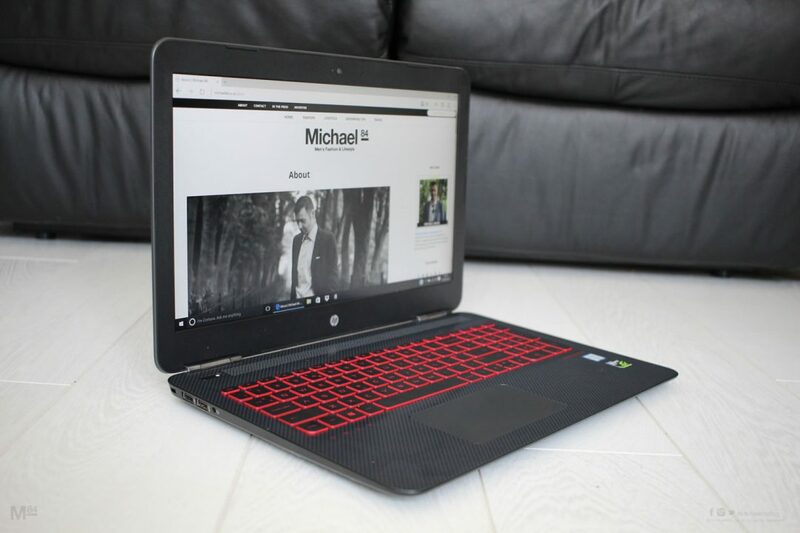 If you know about gaming then you’ll know that the one thing it needs is power, and I am excited to try out the brand new HP OMEN 15, HP’s PC gaming machine. So the machine itself is pretty nice. It has a 15.6″ screen which is inside a pretty nice faux-carbon fibre body which is called shadow mesh, and comes with the red OMEN graphic on the lid. At 2.2kgs it’s actually not too heavy for a 15″ gaming laptop, which are known to be a little on the beefy side. However the relative light weight of the machine does not compromise the power which is under the hood. It packs a 6th generation i7 CPU along with a dedicated Geforce graphics card, SSD drive and 16GB RAM. I’ve got the full details on the spec of this beast below. So yesterday I watched a bit of the Apple conference, and as expected, the iPhone 7 and 7 plus was announced (along with some other stuff like the watch). It was the usual slick presentation, and you have to hand it to Apple, they do these things pretty well. Here’s what we learned about the iPhone 7 and 7 Plus, and I reveal why I will not be upgrading. I finally got a new laptop, and it’s the Dell XPS 13 2016 edition! 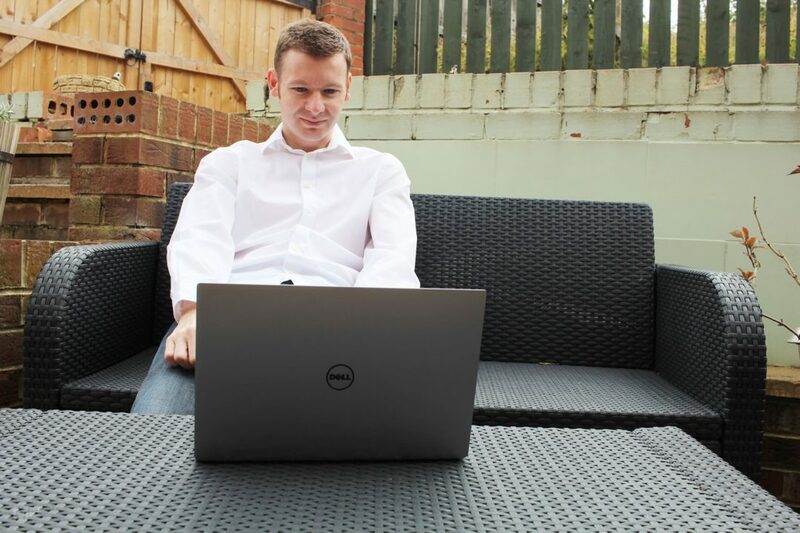 You’ll have seen the Dell XPS 13 laptop on my blog before, and if you follow me you’ll know how much I like this laptop, and how highly I rate it. I have actually had this for a couple of months now, but just got round to writing about it, I’ve been too busy using it! 8 or so years ago I got my first (and possibly last) Apple computer, the MacBook Pro. It was the first of the unibody MacBook’s, and it was great. I really wanted to dip my toe into the Apple world when it came to computers, I like my iPhone and wanted a laptop, so decided to get the MacBook Pro. My requirements were a lot of power, light, and a good design, which this had, and I could use OSX and install Windows too, having the best of both worlds. There wasn’t much in terms of competition, most of the Windows based machines were nothing to write home about, only the Sony Vaio was a decent enough competitor at the time, and as mentioned, I wanted something different. I can’t tell you how excited I was when I heard about this today! Nintendo announced that they are bringing out a new console…Actually it’s an old one! The original Nintendo, aka NES was one of the first consoles I ever owned, and probably the first “proper” console which I actually had and used, and played games on. I got this when I was around 8 or 9, so early 90’s, but it was actually released in the UK back in 1986. It was an 8-bit console, and this was pretty much what people think of as the start of home gaming in consoles (SEGA had their MasterSystem too). So today Nintendo are embracing the retro fans with this; The brand new Nintendo Classic Mini. You get the vintage look and feel of an original NES, albeit in a much smaller form, but it’s built with 2016 in mind, which means you can hook it up to a modern TV with an HDMI cable. It comes with 30 games, and the absolute classic are on there, including the Super Mario franchise. As you’ll have read several months ago, I got a JXD retro gaming tablet which is great, but the bad thing about the unofficial hardware and software is that it can be a bit clunky, since the games were not originally designed for the hardware or software. Since there is a JXD and countless other devices, and have been for a while, I think it’s smart of Nintendo to do this, as there are so many fans of 8-bit and also 16-bit generations of consoles. I would love Nintendo and SEGA to officially release more retro consoles like this, they’d definitely be a hit. You can get your hands on one of these on 11th November, right in time for Christmas, that’s if they don’t sell out. I have heard that the UK price is said to be £49.99.